Maybe just the treeless saddle isn’t going to work? She looks like she doesn’t have much for withers to hold the saddle on. I am sure if you live in a place with a saddle fitter they will know what to tell you for tree size. You can get smaller cinches than 24 even, they're usually considered "pony cinches" but they work on horses with dropped rigging saddles. A lot of western style endurance saddles have the low rigging including mine. I have a 20 inch Woolback cinch I use with mine and I have much narrower horses than yours. Cordillera Cowboy and Knave like this. Definitely @QueenofFrance08 ! I own a 10” mohair cinch. It is the cutest little thing you’ve ever seen and worked great for the Shetland. They come in all sizes, you just have to look. Cordillera Cowboy and QueenofFrance08 like this. That is... a nice combination. I am all but drowning in cobs over here - all beautiful with their markings. But she takes it to another level! Thanks everyone. I will look for a smaller cinch and then possibly add a breast collar too for additional staying power. It would probably be easier to find an English saddle that would fit her but western is what I’m most comfortable in. I tried a 24” cinch with the treeless endurance saddle and still I could put any weight in the stirrup without it rolling. Which may be absolutely nothing to do with the girth being tight enough - as said, trees without frames aren't really designed to be stable with weight only on one side of them. 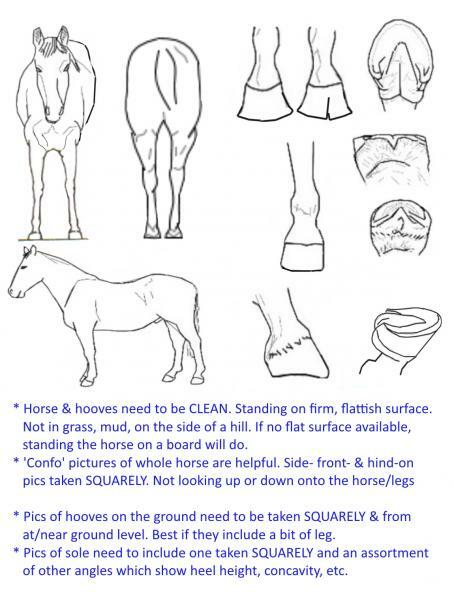 You need to use a mounting block & NOT put your weight in a stirrup when getting on/off. Dustbunny, Cordillera Cowboy and Knave like this. It would probably be easier to find an English saddle that would fit her but western is what I’m most comfortable in. Cordillera Cowboy and SteadyOn like this. I have a Gypsy Cob/Haflinger cross and the only saddle I was able to find that fit her perfect was this one. https://www.horsesaddleshop.com/abet...endurance.html She is mutton withered with a short, wide, flat back. I had tried a couple of treeless saddles and they just didn't sit right on her. I also tried an aussie one and that was a no go. When she was at the trainers they used a Duett on her which fit nicely, but I don't ride English. Just needed something for trail riding. I even tried my mom's Western Wintec, but it sat funny on her. Some horses are so hard to fit. Good luck. I had to change to treeless to fit my Rocky Mountain gelding. He has short back, forward girth groove and mutton withers. I tried many different saddles before going to treeless, including having a custom saddle made for him. None of them worked. Treeless saddles have to be fitted to the horse similar to a treed saddle, however they are a lot more adjustable. IMO the brand of treeless you tried is not a quality saddle. After trying many brands and styles, the one that worked best for me and my horse was a Barefoot saddle and the Black Forest saddles. They work great and although it is best to use a mounting block, one can mount from the ground in one if done correctly. loosie, AnitaAnne and Cordillera Cowboy like this.